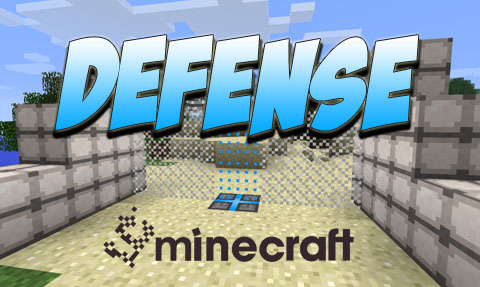 Defense Mod aims to protect your base from mobs and even other players. 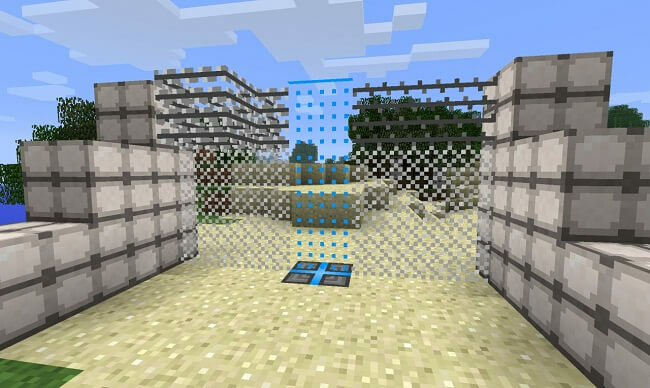 Chainlink fences can be crafted by users to get cheaper than iron bars, but are climbable which can be solved by crafting barbed wire and razor wire to place on top. This mod contains climbable significantly damaging to anything that tries to do so (razor wire is more expensive, but does more damage). Sandbags are also creates as well to explode resistant. Defense provides a recipie for vanilla chainmail armour as a bonus. You can now craft deflector shield generators in Defense. 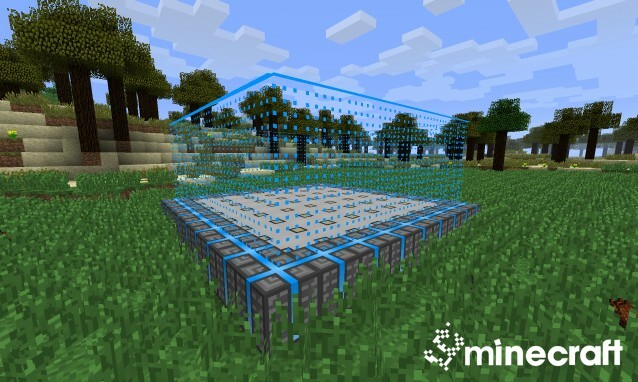 When placed in the world, a shield generator will keep 3 indestructible deflector shield blocks on the 3 blocks directly above it (provided there isn’t anything in the way). If a projectile (unless it’s moving fast enough) passes through a deflector shield, it will instantly be destroyed. Hostile mobs also take large amounts of damage when they pass through (enough to kill most of them), so deflector shields make good doors. If you want more than 3 block high shields, you can place more generators directly below the first one, each one adding one extra block of height, for a maximum height of 7. A shield can be disabled by applying a redstone signal to the top deflector shield.